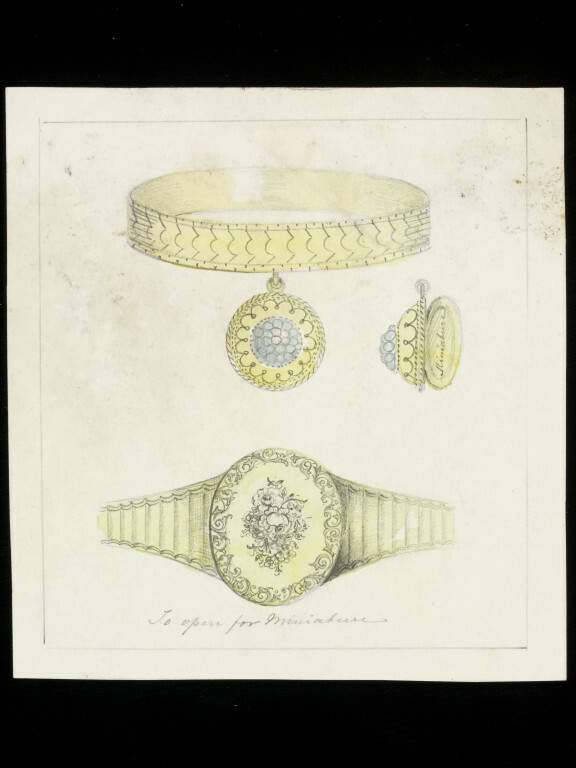 Rectangular card with three pencil and watercolour drawings depicting designs for pieces of gold jewellery. The top design is for a necklace with a locket. A separate drawing shows the detail of the locket which has blue stones inlaid in the centre. 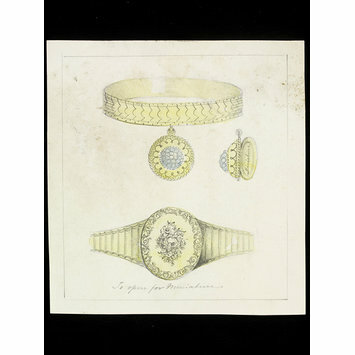 The bottom design is for a gold signet ring in the classical style and depicts a bouquet of flowers as the central decoration in the signet. Pencil border drawn around the designs. At the foot of the bottom design pencil text reads: 'To open for miniature'.